When the new Kindle was announced, it was inferred that interaction with other devices would be coming soon. 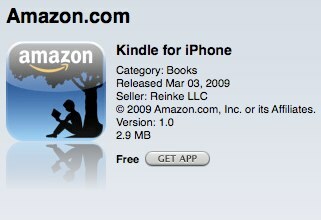 Today, Amazon released the free Kindle app for iPhone / iPod Touch in the iTunes App Store (app iTunes link). 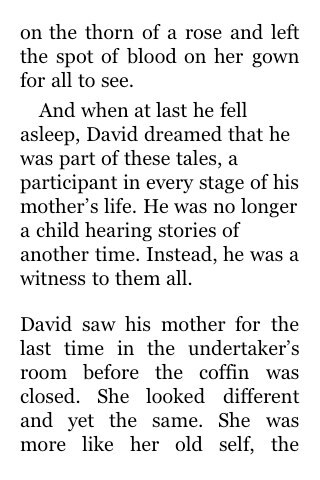 The Kindle and the iPhone app now sync with each other via Amazon's Whispersync. 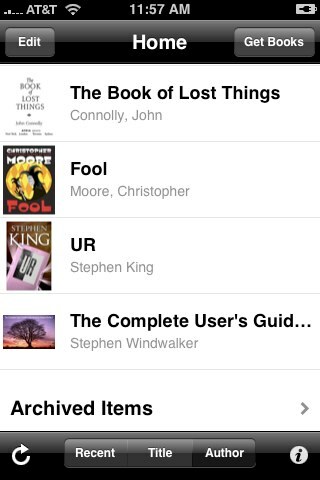 If you've started a book on the Kindle, that same book is available on your iPhone. Additionally, it will open to the page you left off reading. Amazon sees the iPhone as a complementary technology. Battery life, small size, and eye strain might all get in the way of reading on the iPhone, with Kindle viewed by Amazon as the superior device for ebooks. However, they also know you won't always have your Kindle with you. According to Ian Freed, vice president for Amazon Kindle, “Kindle for iPhone and iPod touch is a great way for customers to catch up on their current book wherever they are, like in line at the grocery store or between meetings.” The funny thing is, I can actually see that happening. Well, maybe not between meetings, but when I'm stuck in line somewhere or waiting in a parking lot somewhere, I always play with the iPhone. Now I can read while I'm killing time. It's not a bad alternative. There is a downside. For instance, I have been reading a lot of documents (books and papers) on the Kindle that did not come from Amazon. I've been using calibre to upload things via my computer. As far as I can tell, the iPhone app uses Amazon (not the Kindle) as its hub and therefore has no knowledge of anything else I might be reading that is non-Amazon. Amazon also didn't integrate book shopping into the app, and suggests you use your home computer or access their Kindle store from Safari on your iPhone. I'm also not sure how well this will work for folks who want to use their iPhone as an eBook reader without a Kindle. The app is very much an accessory for the Kindle device. Hopefully other devices are on the horizon for WhisperSync. I'd love to see integration for Blackberry and the new Palm Pre. At Coggno we’ve been very excited about Kindle and eBooks in general. One essential eBook reader feature that goes especially well with online courseware users is a built-in wireless connection. For example, Kindle’s wi-fi access makes buying and reading books simple and convenient. Of course, the rights of authors and publishers should be protected by eBook readers. However, I think this needs to happen as part of a new business model for distributing reading material. EBooks should not be sold at a price comparable to their paper-bound cousins–after all, publishing an eBook costs almost nothing. Many people get their reading material second hand, or find open source online courseware or public domain works, or borrow resources from the library, for free. 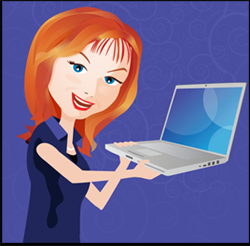 Authors and publishers need to earn profits. But they also need to take into consideration the fact that people will not pay as much for eBooks as they will for paper-bound ones.